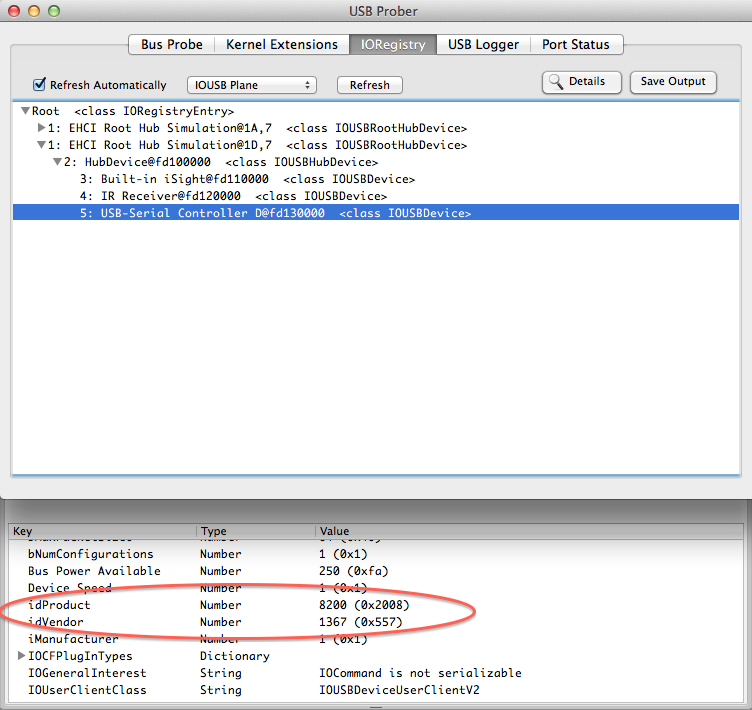 This awesome USB to Serial adapter was working perfectly in MAC OS X Snow Leopard, but it did stop when I upgraded to Lion. Luckily I’ve found good hints on few websites and because I’ve been able to fix it and now I have this working again, I’ve decided to document here how to make it working. 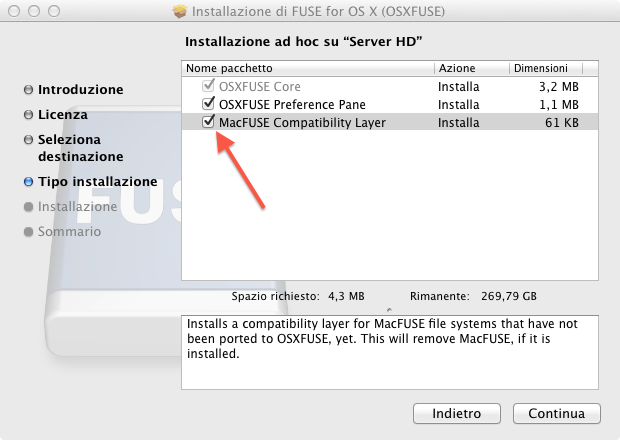 First, you need to download the drivers for MAC OS X 10.6 provided by the vendor. 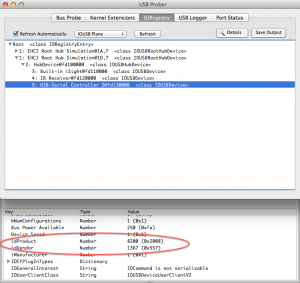 Then, use the application USB Prober in Mac to find out what is the Vendor ID and Product ID of the adapter you are using. After this, you should be able to find the device cu.usbserial in /dev directory, which is the proof that the adapter is working. 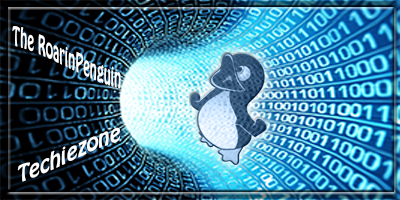 You can then use the command screen cu.usbserial and get your marvelous adapter to work again.